Strategic commentary has long described Japan’s China policy as a classic ‘hedging’ posture — simultaneously combining the two contradictory policy directions of ‘balancing’ and ‘engagement’. The Abe administration is no exception. ‘Foreign minister behind the scenes’ and special adviser to the cabinet on foreign policy from December 2012 until January 2014, Shotaro Yachi was the chief architect of Japan’s ‘hard and moderate’ China strategy of ‘balancing dialogue and deterrence’. This policy has seen Japan combine economic and diplomatic engagement with China while balancing against it both externally (by solidifying its security alliance with the United States) and internally (by building up key military capabilities). These policies remain firmly in place. China–Japan diplomatic and economic engagement entered a new and expansive phase in 2018. Meanwhile, Japan’s bilateral security relationship with the United States is also expanding, with Japan’s acceptance of a role in collective self-defence, joint naval exercises in the South China Sea and joint missile defence exercises over the past few years. Yet, other developments during Abe’s tenure, while not undermining Japan’s basic hedging strategy, have certainly converted it into a more complex and multi-stranded posture. Japan’s economic relations with China have been elevated from engagement to enmeshment. Japanese Prime Minister Shinzo Abe’s personal letter to Chinese President Xi Jinping in May 2017 represented an abrupt shift in Japan’s China policy from one of caution to one more open to cooperation on infrastructure development projects. This move deviated from the Foreign Ministry’s steadfastly upheld US-centred foreign policy to one more closely aligned with the Ministry of Economy, Trade and Industry’s view that participating in China’s Belt and Road Initiative (BRI) offers a significant economic opportunity for Japan. In June 2017, Abe gave a speech in Tokyo saying that Japan ‘was ready to extend cooperation with China on Xi’s Belt and Road infrastructure drive, albeit under certain conditions’. Abe later ‘called for “third-country cooperation” at a summit with Xi in November 2017’. The climax came in October 2018 during Abe’s visit to Beijing for a summit meeting with Xi. The visit resulted in a bilateral agreement between the two countries to cooperate in 52 joint infrastructure development projects in third countries, heralding Japan’s participation in the BRI ‘in all but name’. In the security realm, while continuing to strengthen the bilateral US alliance, Japan is increasingly combining bilateralism with regionalism. This effort adds another instrument to Japan’s hedging portfolio — a ‘checking’ (kensei) posture against China — by forging closer bilateral security ties with other Indo-Pacific states. Japan created the ‘Special Strategic Partnership’ with Australia and the ‘Special Strategic and Global Partnership’ with India in July and September 2014, respectively. Japan is also expanding and diversifying its capacity-building assistance in Southeast Asia, particularly in maritime security. The latter is designed to strengthen the military and defence capabilities of states in potentially adversarial relationships with China — specifically those with territorial disputes with China in the South China Sea such as the Philippines, Malaysia and Vietnam. These policies represent a ‘hardening’ of Japan’s hedge against China. They also represent an additional security buffer against a possible weakening of US alliance commitments to Japan. 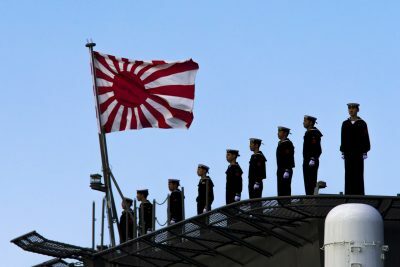 Japan’s security balancing against China has effectively been ‘regionalised’ and no longer relies exclusively on bilateral security ties with the United States. This change complements the multilateral security approach embodied in Abe’s vision of a ‘free and open Indo-Pacific’, which is gradually taking shape. The story on trade is not dissimilar. Trump’s trade strategy is seen as a potential threat to Japan because of the prospect of negotiating a bilateral free trade agreement (FTA) under threat of retaliation if agreement is not reached in a way that satisfies the United States. There will be no trade war because Japan will not follow the China model and retaliate. But since the United States withdrew from the Trans-Pacific Partnership (TPP) agreement in January 2017, Japan has been crafting a kensei posture against the Trump administration’s aggressive unilateralism on trade. Japan’s crowning trade policy achievement in 2018 will be the successful launch of the Comprehensive and Progressive Agreement for Trans-Pacific Partnership (CPTPP) on 30 December. The CPTPP will strike a blow for multilateral, win-win trade agreements, which the Japanese government now touts as an element of its US trade strategy. Japan seeks to avoid the zero-sum, win-lose agreements of the Trump administration. It is scrambling to present an alternative model that bolsters its negotiating stance in talks with the United States. This applies particularly to agriculture, where Japan’s position is built on not conceding beyond what was agreed in the TPP. Japan has so far managed to avoid negotiations under duress and punitive tariffs on car exports because of Abe’s friendly personal ties with Trump and by dragging its feet on bilateral FTA negotiations, agreeing only to Trade Agreement on Goods (TAG) talks. But the difference between the two types of agreements is largely semantic and symbolic, and the Abe government’s fancy footwork may not prove so effective against more concerted US pressure in 2019. Aurelia George Mulgan is a Professor in the School of Humanities and Social Sciences at the University of New South Wales, Canberra. 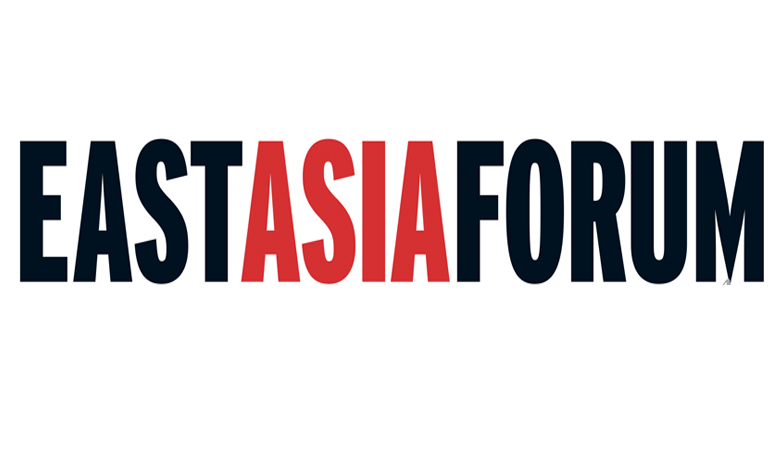 This article was first published by the East Asia Forum on 10 December 2018. This article was republished with permission.